This beautiful pendant with dotstack edging has the cremains spiraling alongside a band of color. The raised dots have been layered to visually complement this contrast. This design is available in many colors. The examples shown are twilight with pink accents, and aqua with caribbean accents. 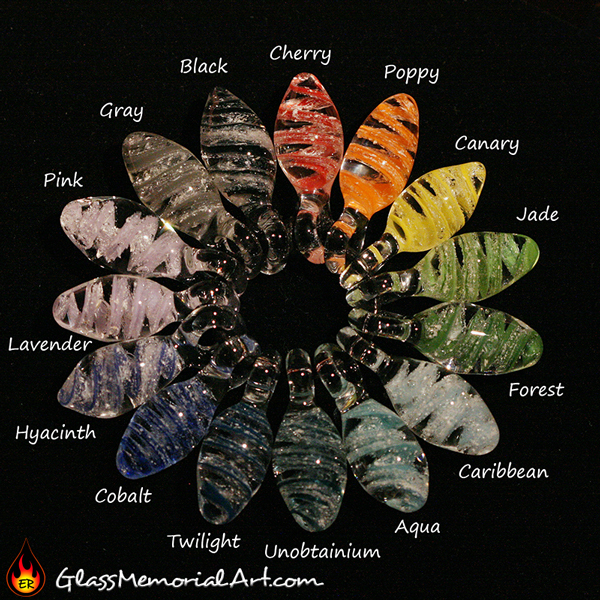 See the color chart below for more examples of available colors. Cremains are usually white, so darker colors like black will make the ash pop, while lighter colors like pink show the ash in a more subtle way.